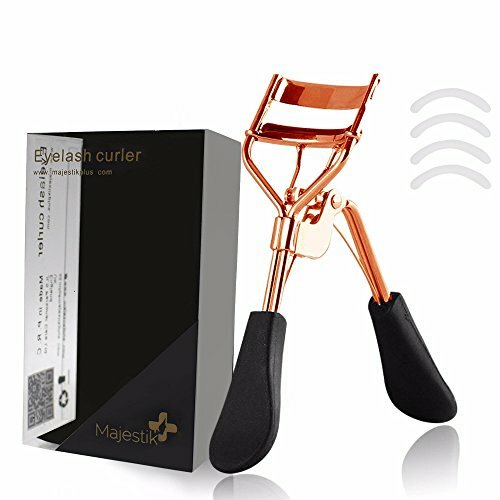 The Majestik+ Eyelash Curler creates the most voluminously curled eyelashes with absolutely no tugging, no pulling, and no broken lashes. Highest level of performance with a flawlessly calibrated hinge that gently ensures uniform pressure every time, an ergonomic body, and a longer curl surface. Certified highest quality, carbon steel frame engineered perfectly for both at home and professional use. 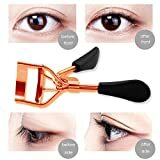 Genius design fits all eye shapes and sizes, and create the most lift and curl for a gorgeous, eye-opening look that takes seconds to achieve, and will last all day. 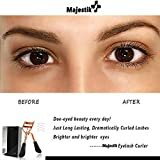 GUARANTEED: Comes with industry leading 100% Satisfaction Guarantee, which means your purchase is protected by Amazon and backed by Majestic Beauty UK. THE BEST CHOICE! A PERFECT GIFT for girls and women! 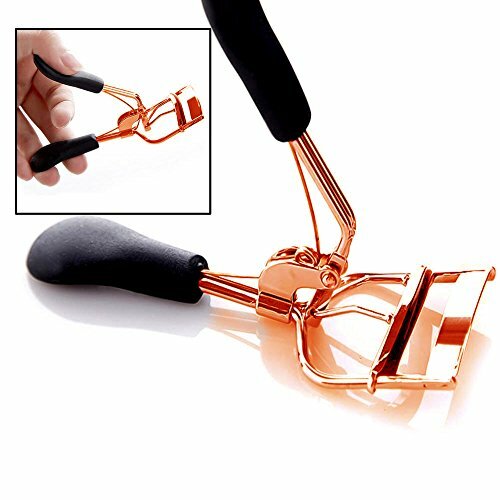 The eyelash curler is made of high quality stainless steel deform resistant. 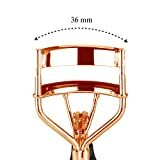 The total straight length of the Majestik+ Eyelash Curler is approximately 4.2 inches while the handle is about 1.6 inches and the radian on the top is about 1.4 inches. 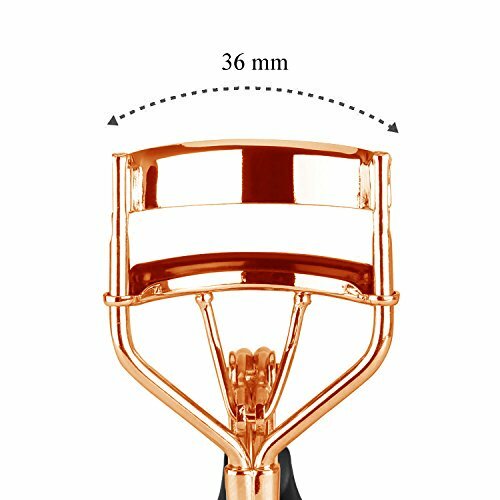 Our Eyelash Curler is designed to fit for all eyes shapes and sizes. It can help you reach all kinds of eyelash curve and width you like. Through professional certification, much more convenient and practical for beauty. 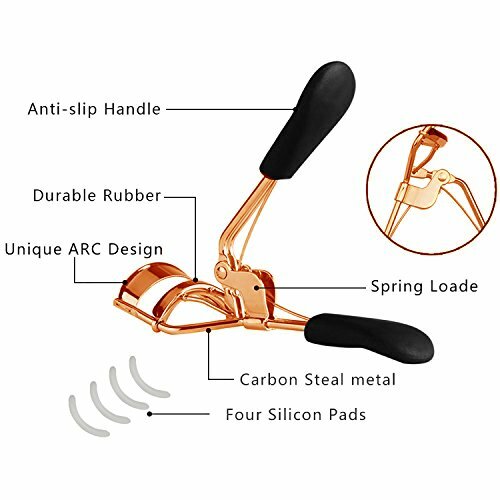 It's suitable for both home using and professional using. 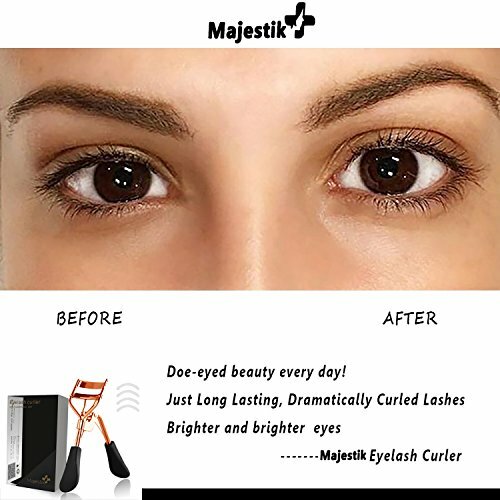 How to use it in a proper way: To begin with, make sure that the eyelashes are clean and free of mascara. The device can be heated for a short time with a hair dryer, but not to the extent to burn the delicate skin above the eyes. Open the curler, clamp lashes near the roots. Hold for 10-30 seconds. Don't bother curling bottom lashes. Remember to use it in a soft way to avoid damaging to your eye. Repeat the same way on the other eye. It even comes with Majestic Beauty UK exclusive 100% Money-Back Guarantee of Satisfaction: If you don’t think this Eyelash Curler is the BEST Eyelash Curler you could possibly buy, please return it and accept a FULL REFUND with our sincere apologies. We aim for Complete Customer Satisfaction. We’re totally confident you’ll love this brush – or we wouldn’t be able to make this generous guarantee. We’d go broke!